The redesigned 2018 Kia Rio is here, a stylish subcompact that’s ready for action. Why Buy the Kia Rio? In short, the 2018 Kia Rio is the whole package – interior comfort, a fuel-efficient ride, and streetwise tech features – at a great price. The newly redesigned powertrain is engineered to be quicker as you zoom from stoplight to stoplight, but it also aims to save you money at the pump, earning up to 29 city/37 highway mpg. Inside, you’ll find a restyled dash with an intuitive layout and plenty of passenger space – all of which makes for a comfortable, refined ride. Every Rio comes with a USB port and a central display screen, making it easy to stream music from devices. And, if you go with the infotainment upgrade, you can even use Apple CarPlay and Android Auto smartphone integration features to access apps like Phone and Messages directly on your central touchscreen. 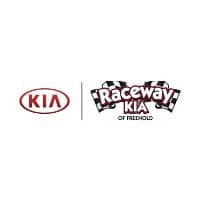 Which Kia Rio Should I Buy? There are three handsomely equipped Kia Rio trim models out there – the base LX, mid-range S, and top-of-the-line EX. All of the Rios supply plenty of head and leg room throughout the cabin. To bolster your bank account, check out the base 2018 Kia Rio LX. Its price tag is enticing, but it doesn’t short you on comfort or tech features. Inside, you’ll find a USB port to charge your smartphone on the go and a standard rearview camera. When you select the 2018 Kia Rio S, you get extra timesaving features, like power windows and heated power mirrors. The sliding center console armrest offers a handy storage area, so you can stow valuables out of sight. This model also includes an extra USB port, so you can charge two devices on the go. Take style to the next level in a 2018 Kia Rio EX. Extra bling, like the chrome grille surround and 15-inch alloy wheels, lets everyone know you’re coming. Inside, the leather-wrapped steering wheel and upgraded cloth upholstery are all about upscale comfort. Best of all, the EX comes with Kia’s Uvo infotainment system, which includes an easy-to-use 7-inch touchscreen and handy voice controls. Uvo comes with Apple CarPlay and Android Auto, the latest in smartphone integration technology. What MPG Does the Kia Rio Get? The newly redesigned 2018 Kia Rio does more than get you up to speed in a jiffy – it helps you make the most of what you spend at the pump. If you prefer to switch your own gears with the manual six-speed transmission, your Rio is EPA-rated for 29 city/37 highway mpg. But, if you’re into the smooth-shifting automatic, you’ll barely notice the difference with 28/37 mpg. Are Kia Rios Good Cars? The 2018 Kia Rio is a solid pick. This subcompact delivers the good stuff – a roomy cabin, loads of tech features, and a peppy performance – at a great rate. Moreover, you can expect a dependable ride for years to come. And, like its fellow Kias, it comes with impressive limited warranty coverage. With 10 years or 100,000 miles’ worth of coverage, the Kia warranty program is one of the best out there. So, if anything does go wrong, getting back on track is pretty painless.